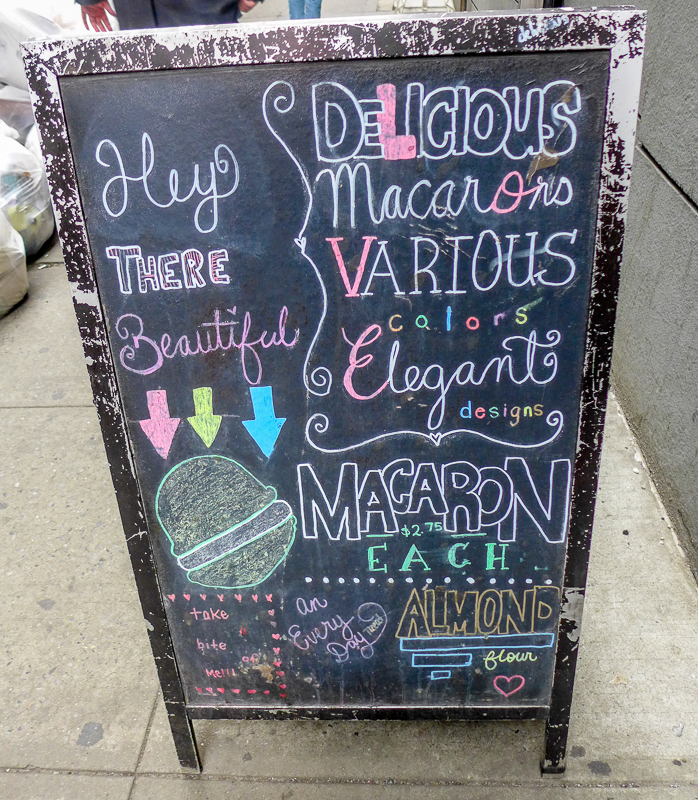 We already know that macarons are man’s best invention, but until now I’ve relied on the East Village’s Macaron Parlour for my fix. 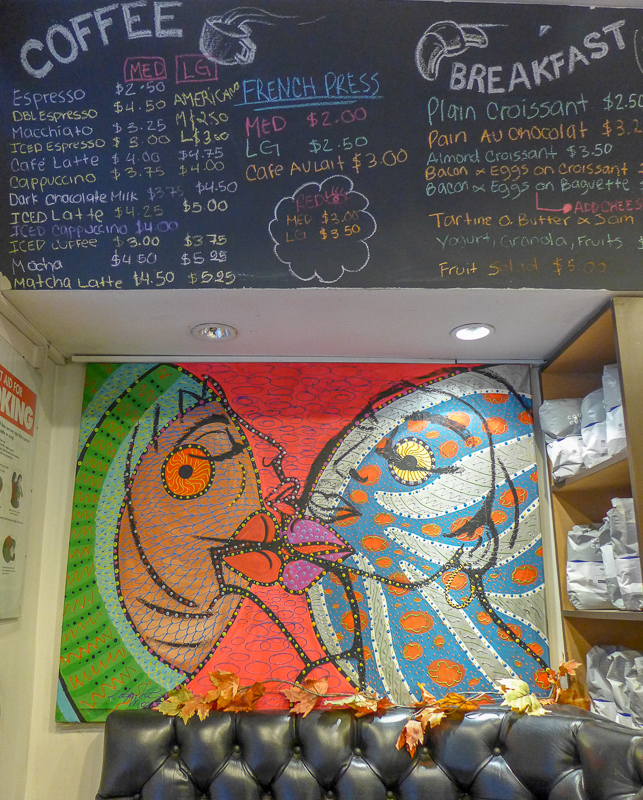 This week I passed Maracon Cafe on 36th Street so, charitably, decided to give them a chance as well. This location, which is between Broadway and 7th Avenue, has a teeny store front and just a few tables. 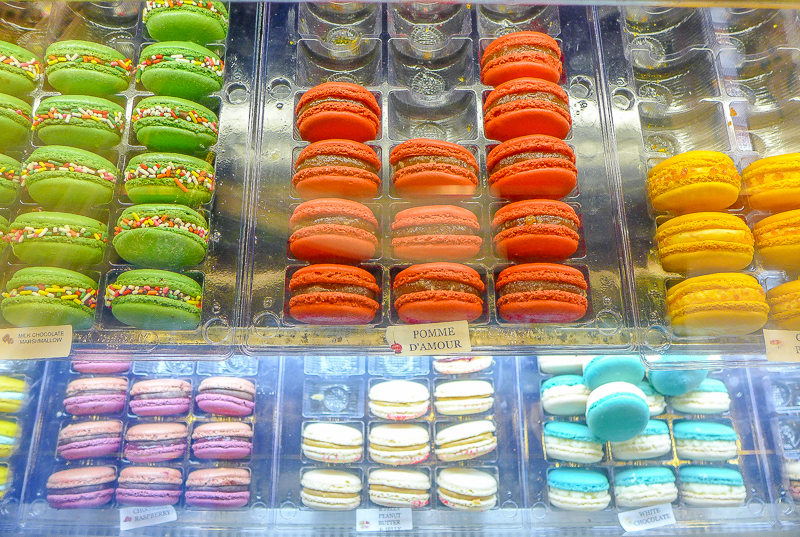 But thankfully they still manage to cram plenty of macarons inside. My verdict? 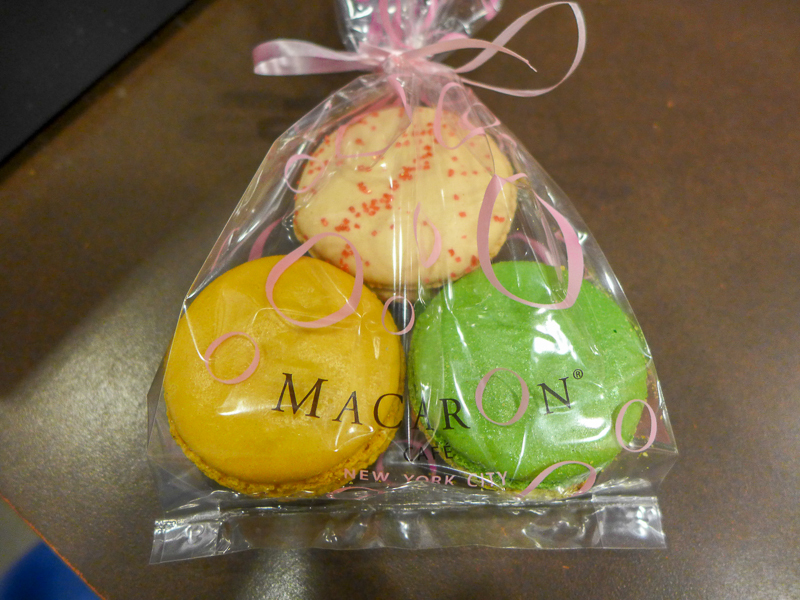 They were far chewier and heftier than other macarons I’ve bought in the city (i.e. 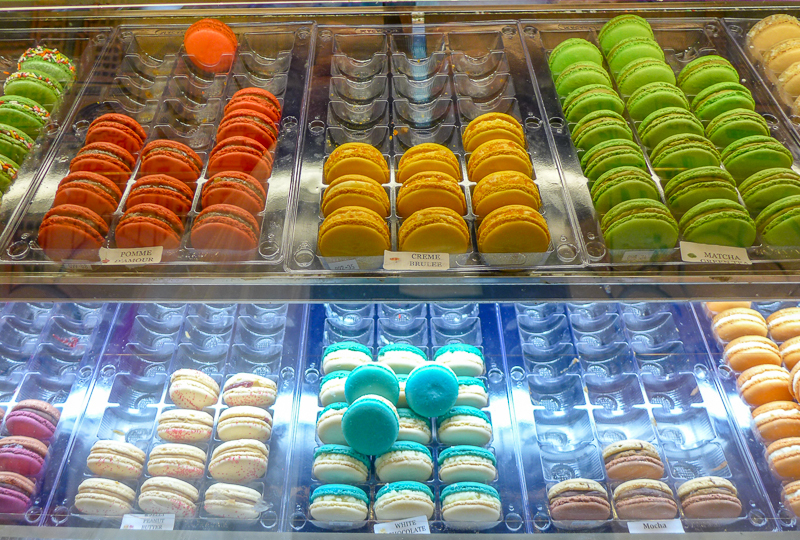 from Macaron Parlour). The creme brulee one was far too sweet and I had no interest in eating it all, which is a terrible thing to say. Thankfully Ryan gave me the rest of his PB&J one, which was so delicious – both salty and sweet, and a perfect amount of chew. 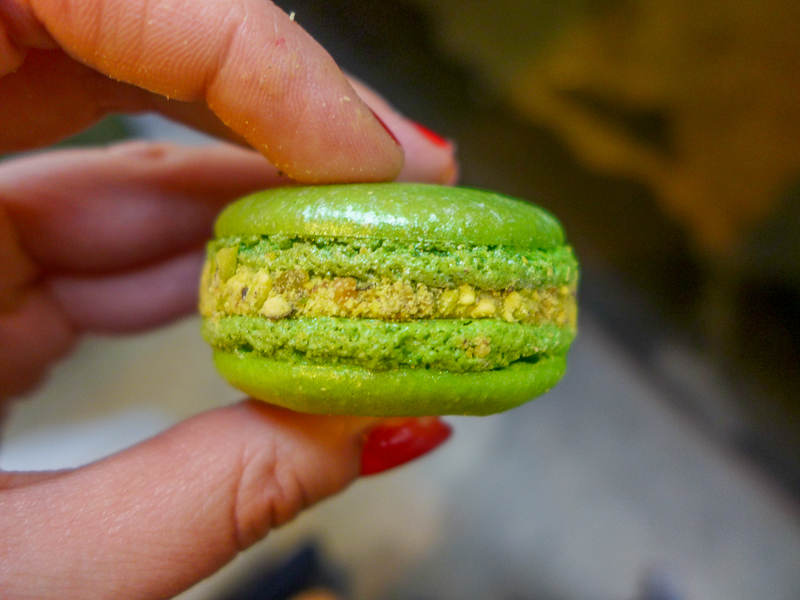 I’d have to sample more to give a fairer review (all in the name of blogging), but I’m also keen to stick with the Macaron Parlour, where the treats seem lighter and there’s more choice, including some pretty inventive options (Cheetos macaron anyone?). 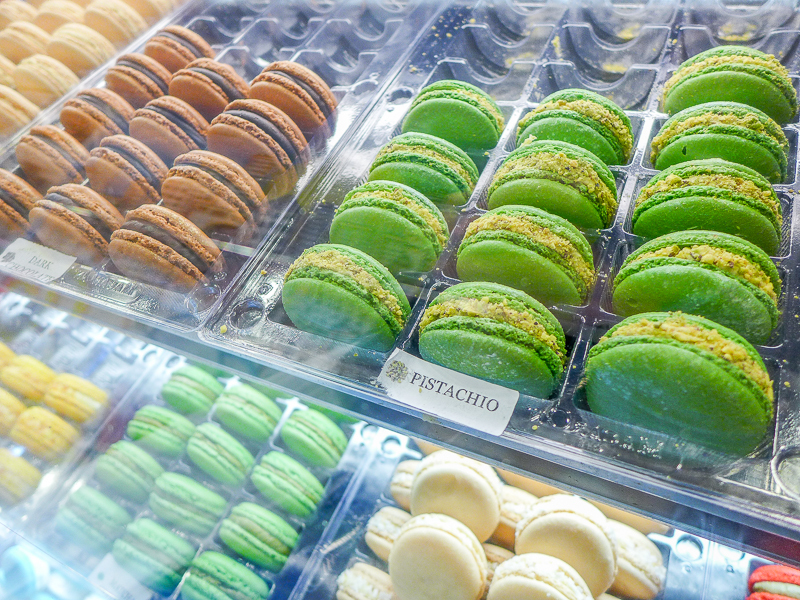 Of course, at the end of the day, the macarons were still macarons, so you definitely can’t go too wrong with heading there for a visit. If you have any suggestions for where else I should try, please let me know! 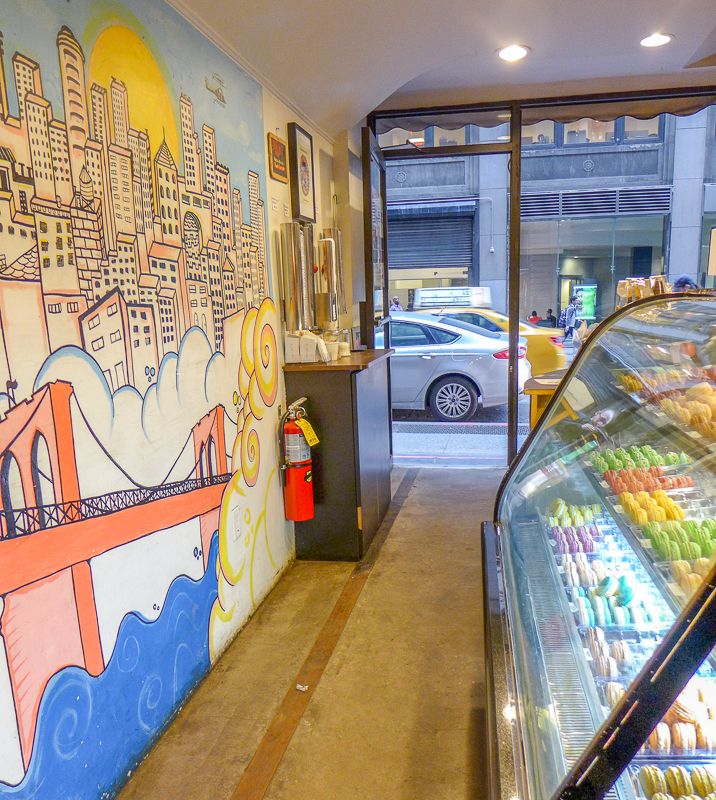 Macaron Cafe has four locations in New York City: 36th Street between Broadway and 7th Ave; 3rd Ave between 46th & 47th Streets; 59th Street between Madison & Park Avenues; Greenwich Street between Reade & Chambers Streets. Opening hours vary, but they are all open until 8pm in the week and 6pm or 7pm at the weekend. Check out their flavors here. Might have to give those a try ….